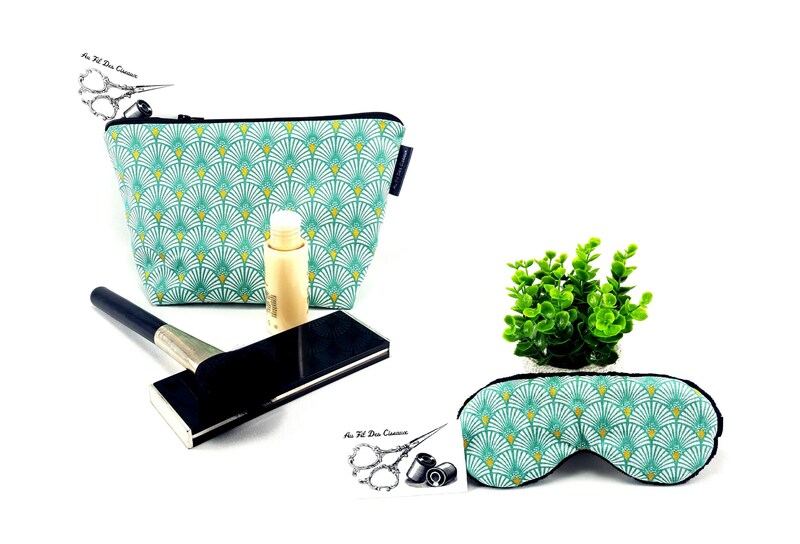 This trendy set make-up kit and sleeping mask will follow you during your travels and travel! The kit is made of sea green, gold and white fan patterned cotton. It is lined in black cotton and closes with a zip. Sleeping mask is made of green, white and gold fan patterned cotton. The softness of the eyes, it is soft black fabric. The elastic is satin black. It is padded for extra thickness and comfort. They can be purchased together or separately, you make your choice from the drop down menu!